Current EVEntS – Shannon Troughton Watts Wants Christian Good Guys Denied Their 2nd Amendment Rights – Because She’s Scared of Guns? You Decide | It's the Women, Not the Men! Shannon Troughton Watts, 41, of Indiana, is another influential, radical, second-wave feminist who dislikes Christian men, and their priorities, and therefore wants to neuter them, just because she can. Not surprisingly, as a woman, she can’t understand the unique capabilities with which God has blessed men, as compared with the blessings He bestowed on women. Nor does she understand what motivates Christian men and their behavior. In 2013, Mrs. Watts began a Facebook page called, “One Million Moms for Gun Control” in reaction to the horrific Sandy Hook Elementary School shootings which occurred in December of 2012. Her group concentrated on banning the AR-15 rifle, “assault weapon”, which was used by the killer, Adam Lanza. Watts’ efforts proved to be misguided. After riling-up 100,000 (not nearly a million) moms to her cause, Watts discovered that to “demand” a ban of these weapons again, was pointless. Mainly because it had been proven, that the previous ban from 1994-2004, was misguided as well. In 2004, a Department of Justice-funded evaluation found no evidence that the decade-long ban on AR-15s had saved any lives. In addition, the evaluation concluded that the ban itself was also misguided because guns categorized as “assault weapons” had only been used in about 2% of gun crimes prior to the ban. Having been proven wrong on all fronts, Watts changed directions and renamed her group, “Moms Demand Action for Gun Sense in America.” Her focus would now become gun control for all guns. Not long after, she was approached by the non-Christian Mark Glaze, who was Montana’s head of Michael Bloomberg’s “Mayors Against Illegal Guns” (MAIG). Both Bloomberg’s group and Mrs. Watts’ group were running into problems and thought they may be able to help each other. MAIG was reviled by the public for its efforts to take away American’s 2nd Amendment rights. 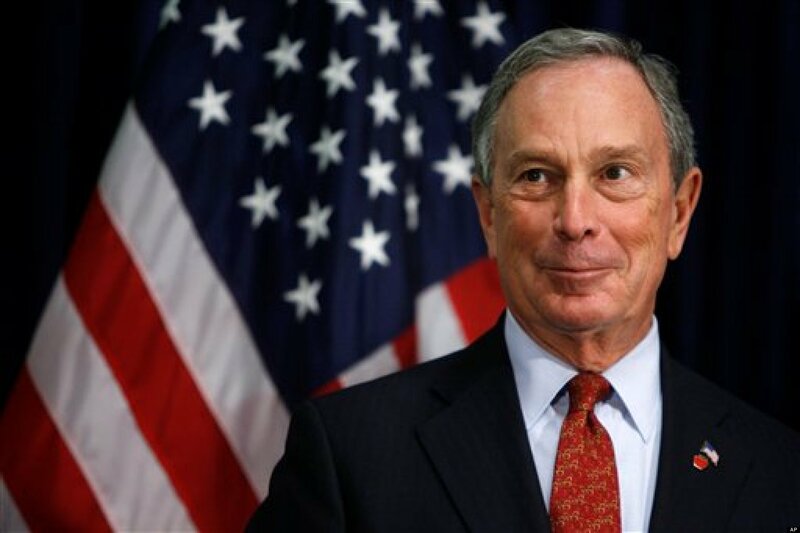 In addition, Bloomberg’s group had suffered another PR disaster when 50 big city mayors quit MAIG, in protest, when it was discovered that Bloomberg was not interested in simply banning illegal guns through MAIG, he wanted legal guns banned as well. Despite the setbacks, Bloomberg’s group began to search for a new public smoke screen for its continuing efforts because his organization still had tons of money, policy experts and a huge political network. This is where Watts’ group entered the picture. Watts’ group had a good reputation, but needed cash, expertise and political clout. It seemed like a perfect match. To seal the deal, Bloomberg promised to supply cash, connections and clout to Watts’ group, in exchange for its nurturing reputation. So, with a $50 million infusion of cash from Bloomberg, he and Watts joined forces. In this new effort, Watts, along with Mark Glaze, became full-time employees of Bloomberg. Watts’ group was merged into Bloomberg’s umbrella group, “Everytown for Gun Safety”, with Glaze as its executive director. So, once again, Watts changed directions. Rather than continue to seek the ban of all guns, she joined Bloomberg’s new effort to attack the National Rifle Association (NRA) rather than to continue to try to unsuccessfully influence voters or politicians. This would ALSO prove to be misguided as the NRA defeated MAIG in U. S. Senate vote in 2013. So, when Watts also failed to disarm the NRA she changed directions once again! This time Watts and Bloomberg decided to pressure large chain stores to ban, legally armed, concealed-carry, customers from entering their stores, thereby doing an end-run around the Congress, the Constitution but more importantly, the citizenry of the U.S! In this effort, Watts’ thuggery and schmoozing, worked on the weak-kneed CEO’s of Starbucks (Howard Schultz); Chili’s (Wyman T. Roberts); Sonic (J. Clifford Hudson), although he did put up a good fight; Target (Brian Cornell) and Chipolte (Steve Ellis). (I will never enter any of these business’ again until they reverse their illegal actions to undermine the 2nd Amendment). Thankfully, Watts’ threats of hissy-fits and boycotts finally met its match when she tried to coerce the management of Kroger’s Grocery Store into doing the same thing. The grocery store saw an immediate response to their stand – their profits rose 21% in the days after Schlotman’s decision was announced. Shannon Troughton Watts – Just a Concerned Mom? NOT! So, just who is this Shannon Troughton Watts? Yes, she is a mother of five children, but is she really just a concerned mom? The answer is no! Despite the news media’s portrayal of her as an ordinary “mom”, she is anything but. She is instead, a political operative. 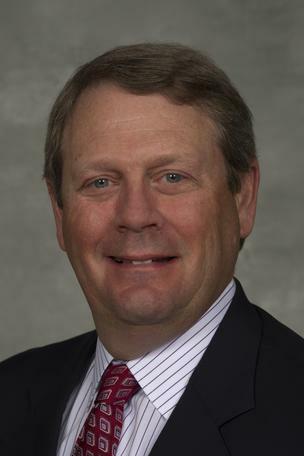 Watts has been involved in the public relations industry for decades, including as a PR executive for major corporations. She was the public affairs officer for the late Mel Carnahan, who was the vehemently anti-gun governor of Missouri, and she is also President of her own company VoxPop Public Relations. Watts’ “new” public relations role is anything but new, and her assertion that she is simply an upset mom, denies this truth. She is, and always has been, a public mouth. And, she is, and also always been, a hard-core, anti-2nd amendment activist. And yet she maliciously continues to hide behind a mother’s apron in hopes of duping more women to her cause. Despicably, Watts has deliberately decided to make banning legal guns her life’s work. She has chosen to spend her days trying to denigrate the 2nd Amendment and thereby irrationally strip the defenseless public of the courageous aid that brave good men can provide to the public – hang the facts, evidence, statistics or logic that prove her assertions wrong. And ironically, Watts is, at the same time, unwittingly aiding the insane plots of the likes of Adam Lanza, by removing the crucial element of surprise that these armed good guys provide to the public at large. 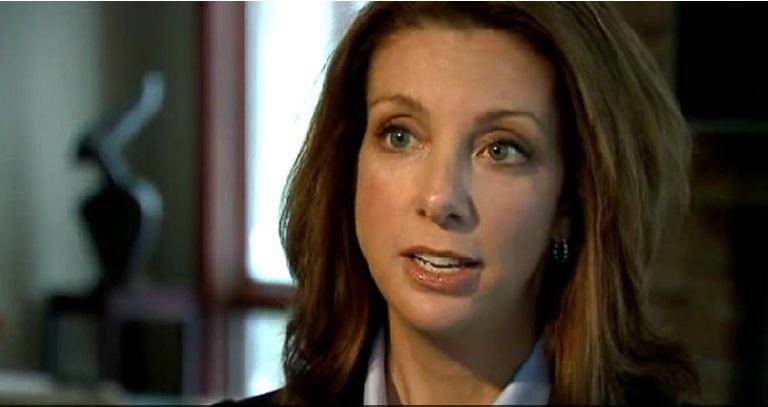 The sad truth is that nothing Shannon Watts is striving to achieve would, in any way, have prevented what happened at Sandy Hook. And the reason? Adam Lanza was certifiably insane, as are all mass-murderers. And, I’ll bet Watts knows this. In fact, if the truth be told, she is obviously more interested in using the tragedy of Sandy Hook, as cover, for leftist Bloomberg’s unsavory efforts to disarm America, than she is in anything more altruistic. 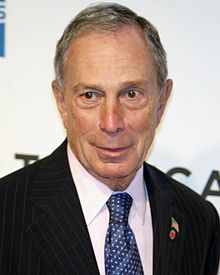 If Watts and Bloomberg (tellingly, both of them never appear in public without armed guards) succeed in this misguided venture, we, as regular citizens, will not only be unable to defend ourselves against a lone gunman, but more importantly, we will be unable to defend ourselves from government tyranny. The very same tyranny that allowed the Nazis to annihilate millions of their own citizens. The very same tyranny that the Founding Fathers had experienced under English rule. The very same fear of government tyranny, which prompted the Founding Fathers to allow individuals to defend themselves with the inclusion of the right to bear arms, as the #2 amendment, in the U. S. Constitution. And so, in Watt’s blind hysteria to fix a problem that doesn’t exist, with a solution that will only make matters worse, she has had to, in her fevered brain, invent a fictitious bogey man. And the fictitious fiend is the good guy who is legally carrying a firearm. Rather than confront the ineptitude of the psychiatric profession, which enables mass-murder like Sandy Hook, by leaving the likes of Adam Lanza undiagnosed, uninstitutionalized and unsupervised, Watts is irrationally going after the law-abiding, permit-carrying gun owners, through law-abiding corporate CEO’s, none of whom had anything to do with the grim reality of Sandy Hook. DUH. Whatever the reason, Watts has chosen to take Bloomberg’s blood money, deliberately ignore the constitutionally guaranteed right to bear arms, and instead demands that the good guys, not the bad guys, be stopped from doing what they are perfectly capable of doing – defending themselves and the public. By taking this ridiculous stance, Watts is seeking to illegally deny the good guys their right to legally defend themselves, their family, their friends, and, in cases like Sandy Hook, Colorado Movie Theater, Virginia Tech, total strangers. How can anyone justify disarming the very men who can kill the wild beasts who prey on the innocent? Watts’ reasoning? She “claims” that seeing men carrying guns in public places scares her and other moms. Well, speeding cars scare women too. Should they be banned? Tall bridges scare women too. Should they be banned? I’m surprised she’s not trying to ban Harley Davidson motorcycles because they scare women too! 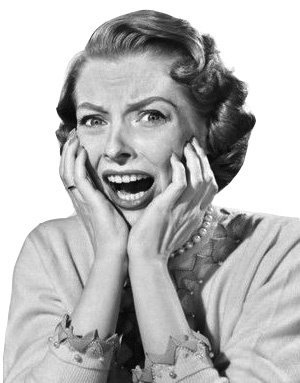 Banning anything that simply scares women is asinine. By working towards banning the ability of the good guys to defend themselves and others, she is joining the ranks of the insane herself or….perhaps she is simply an anti-Christian, anti-American, anti-male, egocentric, radical feminist ideologue who is looking for a soap box. 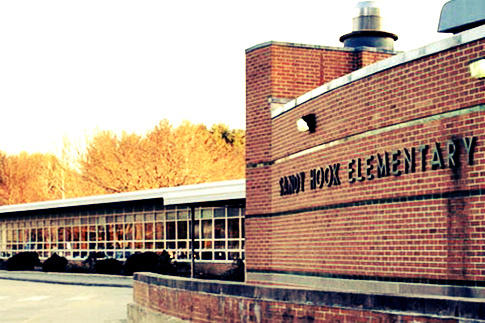 Truth be told, if just ONE, concealed carry, firearms owner had been at Sandy Hook School on that horrific day in 2012, the outcome would have been very different. This is why Watts’ attempts to cripple these brave men’s ability to help, when it’s most needed, (especially when the police are not present), is doubly insane and triply dangerous! But, my feeling is that none of this matters to Watts. What matters to her is that she now has a larger-than-life, big money, big public PR face. Whether Mrs. Troughton Watts wants the rest of women to believe it, or not, unlike crazy Adam Lanza. the men who apply for firearms permits are fully qualified to use their weapons. And as a result, there is no doubt in my mind about who would have won the battle in Connecticut, if there had been just one, concealed-carry gun owner in the school. The truth is we need MORE concealed carry permits issued, NOT less! We need MORE deputies, NOT fewer! And yet, this type of radical, second-wave feminist routinely takes these outlandish positions, as though their feelings, fears and sentiments were adequate justification for denying grown Christian men their rights, both constitutional and otherwise. In this nutty radical feminist world (which chicken Micheal Bloomberg inhabits as well), Watts simply projects her scary feelings onto the men and assumes her conclusions about their potential behavior are correct, when they are anything but! She assumes that if she’s scared of guns, and therefore can’t handle one, especially in the middle of a gun battle, then men must not be able to do it effectively either. DUH. This is total insanity and yet this type of psychosis, called “projection” , goes on all the time within the minds of women. So, why do so many women distrust Christian men and their priorities? And where does this asinine view of men, as having women’s feelings and reactions, come from? The answer? It comes from radical, second-wave ideology. Irrational, misguided feminist “equality” ideology that has been allowed to fester in the minds of generations of young college women, unchecked, unquestioned and uncorrected, for nearly 50 years. It comes from lesbian-led, non-Christian, radical feminism that has continued to claim that men and women are equal in every possible way, thereby insinuating that women’s judgement calls and reactions to situations are the very same as men’s reactions. WRONG! Well, I’m sorry to burst Watts’ and her groupie’s bubbleheads but that’s just TOTAL BS! The two sexes are not equal, not alike, and not the same. They are not even similar to each other. In fact, they are completely different from one another in nearly every estimable way. And for this, we, as women, should all be forever grateful, not resentful. Even the commonality of legs, arms, eyes and heads are without similarities. Guys are bigger and stronger, they see different things (like evil) than women and they think differently (protect and provide) from women. And women, they are smaller and see (a rosy world) and think (can I nurture) differently from men as well. Neither is wrong, they are simply different, not the same. 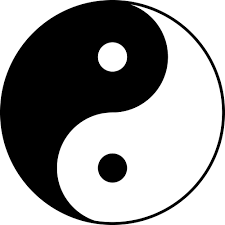 They are the yin and yang of life. You’d think, after all these years, that these “well-educated” females would be able to see the truth, behind the feminist PC rhetoric. The truth is that feminism strives to deliberately stir-up unnecessary conflict between normal men and women. And this is because feminists hate the happiness generated by normal Christian men and women who love each other. Christian couples who trust each other to do what’s right for each other, all based on their shared core values. So, until influential, radical, second-wave, feminist, busy bodies like Shannon Troughton Watts return to their Christian faith and stop irrationally objecting to, and interfering with, the jobs that God has assigned to men, we as a nation, will continue to fall victim to the insanity they enable. In light of Shannon Troughton Watts’ radical feminist tendency to be easily misguided, and chronically misinformed, Suzanna Hupp Garcia’s story is well-worth retelling. Despite Watts’ claims to the contrary, Suzanna knows first-hand, how critically important it is to be able to defend oneself from a perpetrator who is hell-bent on killing you. In 1991, 32 year-old Hupp, and her parents, were eating lunch with 80 other people, in Luby’s restaurant on the day that George Hennard crashed his truck through the plate-glass window and began indiscriminately shooting everyone in the store. Suzanna’s father Al, 71, tried to tackle Hennard, but died from a gunshot wound to the chest. As she led her mother, Ursula, 67, away from the melee, she turned to discover that her mother had instead, returned to her father. The police would later tell her that Hennard shot her mother in the head as she cradled her dying husband in her arms. Unlike the terribly misguided Shannon Troughton Watts, Suzanna Hupp understands the importance of being able to defend yourself, and others, from evil, just as did the Founding Fathers of the United States of America. Despicably, Shannon Troughton Watts’ role as the queen of the anti-2nd Amendment movement, has made her a national disgrace! PS. Tyrant Bloomberg wasn’t happy with Kroger’s negative response to Watts’ threats. So, like an eight-year-old sore-loser, he is now threatening to buy the entire Kroger Grocery chain, make Shannon Troughton Watts the President and fire our Christian, all-American Good Guy, Michael Schlotman. What a reprehensible and despicable pig!!! Please pray Bloomberg is unsuccessful in this vicious and vengeful venture and please support Kroger’s in their efforts to fight off this hostile takeover. And while you’re at it, boycott Bloomberg’s companies too. Let’s see how he likes the taste of his own medicine! He’ll probably cry.